New Licensed Poster: Grateful Dead! My most elaborate poster to date, and I’m so excited to finally release it. Yes, it is indeed an official partnership with the Grateful Dead estate and Bottleneck Gallery to release this 12 color screenprinted poster in celebration of the band. Easily my most detailed work to date, with well over a thousand hours working on this beast between September of 2017 and April of 2018. The work went through quite a labor intensive process and is layered with multiple vibrant hues and transparent shades to try and garner maximum depth and fidelity. I’m extremely pleased with the final result. 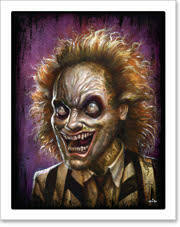 This will be available as a timed release through Bottleneck Gallery. A limited number of rainbow swirl foil variants will also be for sale through the site. Sale starts on Thursday, June 21st at 12pm EST and ends on Sunday June 24th at 11:59pm EST. The edition size of the release will be determined when the sale ends. Full details below. I’m set to see Dead & Co. this upcoming weekend in Wisconsin and seeing this made me even more excited for my adventure! This poster is so incredibly well done. I love the third eye bolt and how the skull makes up the bolt itself alongside the roses inside the stealie. Phenomenal job! I wish I had money to order a print. I’m assuming you know but, just in case, did you know that print is being sold on pillows and towels and whatnot? If yes, good for you. I bought the poster in the first few minutes of the sale. I can’t wait to get it. I may just have to get the matching pillows, but only if it benefits you. If not, well, now you do. P.S. Got the sloth print for my daughter. She loves it. ?? Previous post: New PRIMUS Gig Poster- May 16 Atlanta. Next post: New PRIMUS Gig Poster: July 5, Los Angeles!